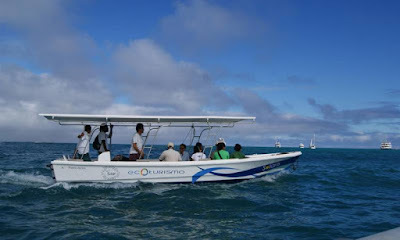 There is daily boat service connecting Puerto Ayora on Santa Cruz with Puerto Baquerizo Moreno on San Cristóbal and Puerto Villamil on Isabela. These services cost $25 to $35 per person one way and take about two hours to get to San Cristóbal and 2 1/2 hours to get to Isabela. 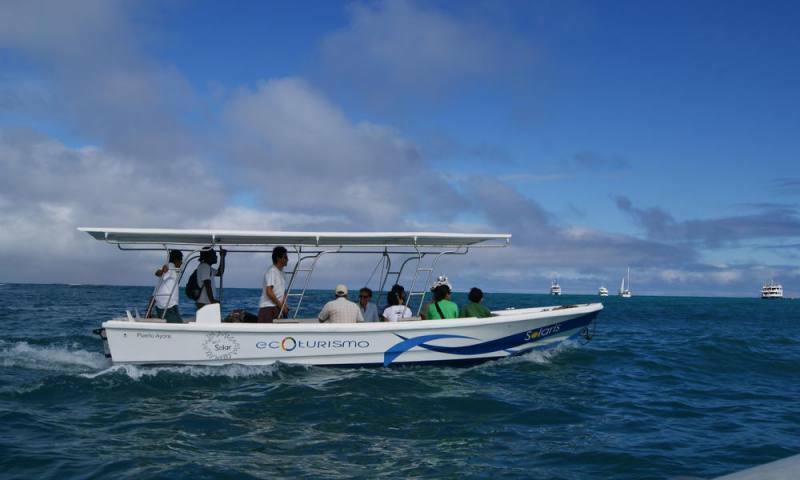 The ferries leave Isabella at 6 AM, San Cristobal at 7 AM and depart from Puerto Ayora at 2 PM. Emetebe is an inter-island airline that has an office on Santa Cruz.